On July 13th 1999 Mr. Bungle released their third and final album, California. The album was intially set for a June release date, however Warner Bros thought that it would clash with the release of the Red Hot Chili Peppers record Californication which was to be released the same month. Trey Spruance: Guitar, Keyboards, Droppin' productions skills, etc. 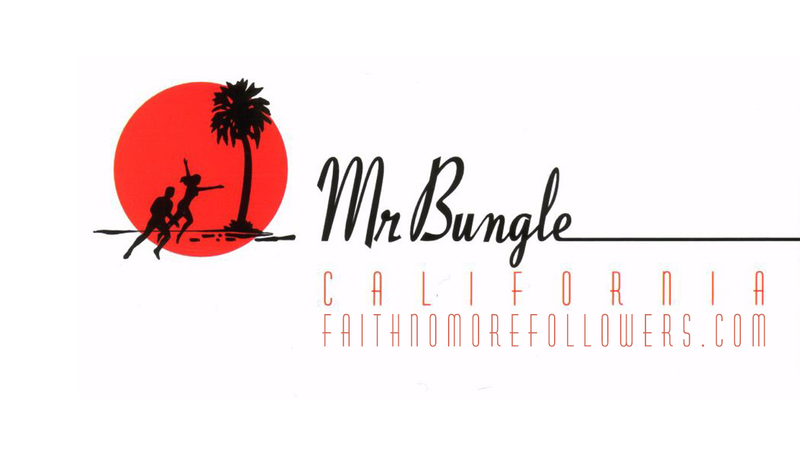 Conceived 15 years ago in a part of Northern California that is known as the nation's capital of heartburn, domestic violence, and testicular cancer, Mr. Bungle has overcome these obstacles and, in fact, embraced their Humboldt County roots as the catalyst for their dark, irregular, forbidding music. Originally founded as a death metal quartet donning Halloween masks, the band played locally, appropriately changing their style to fit each gig. Whether it be a school-sponsored talent show, a hillbilly bonfire at the beach, punk rock evictions, birthday parties at the hospital, hippie blues jams, or lunchbreaks at the pulp mill, Mr. Bungle was always prepared to set the right mood. Needless to say, it was this constant wavering that drove the band to the brink of insanity. Eventually they were showing up at the wrong gig with the wrong set of music prepared, and were forced to improvise or simply take chances of offending their guests. The band remains in this position today. In 1991, Warner Bros. Records released Mr. Bungle's self-titled debut, which became an underground classic for young geeks and nerds who were already sick of rock music. It was at this point that Mr. Bungle claimed they were not a "real band" but, in fact, a toy band. 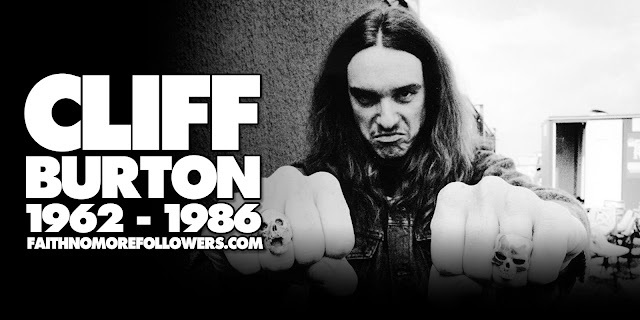 Small, helpless circus riffs...adolescent clown melodies...saxophones, distorted bass, out-of-tune guitars...all contributed to further alienating the band from people expecting repetitive avant-gardism, and/or danceable music. The band toured the States and made a bunch of money. In 1995, Warners released "Disco Volante," an album that further explored the realsm of faux-jazz, fake tango, pseudo-surf, false metal, doppelgangers, and aimless soul searching. Some people were offended that parts of the record were written in a secret, "other worldly" language. Others were offended that parts of the record were NOT written in a secret language. The band toured the States, Europe, and Australia in a cargo van, got real sick, went bankrupt, and starting writing music for oboe, cymbalum, French horn, accordion, timpani, and güiro. Mr. Bungle's third CD is evidence of a rock band pretending to have roots in rock music. More meticulously orchestrated, more guided by mistake than their previous releases, they continue on a roll of self deprecation while writing music that is out of the range of their instruments. The new album, entitled "CALIFORNIA," explores an ambiance new to the band, conjuring up the sultry dance moves of Cyd Charisse and Fred Astaire; digging through the graveyard of riffs to find English Pop, Elvis, Neil Diamond, and Michael Jackson. The album is sure to alienate those expecting weird meter-changes and heartless vulgarities. To be sure, this is Western music, chockful of backbeats, strings, and vocal harmonies. But like the original 49ers, the listener is headed into a desert land of draught and famine -- the dark side of the California dream. Topics of charity, gregariousness, and escapism are accompanied by those of suicide, retribution, and apostasy. The band somehow proves to themselves, once again, that they cannot escape their twisted past, or their twisted future. And like Hollywood, the underbelly is glossed over with major chords, sparkling glockenspiels, exotic percussion, fuzz guitars, tears of joy, and plastic smiles. And it's all in Technicolor, breathtaking Cinemascope, and stereophonic sound! Music to be listened to under the warmth of the cancer-inducing sun. It's danceable, it's singable. Grab an umbrella and join the slaughter! Future plans: tour; write music that works. Musical influences: death metal, Romanian gypsy, surf, rockabilly, disco, film, hits from the '60s, '70s, and '80s, Herbie Hancock's "Sextant," Peter Maxwell Davie's "Eight Songs for a Mad King," voodoo drums, psychedelic Brazilian bands, and various keyboard instruments. Mr. Bungle is easily bored and likes to eat well, so please direct them to the best food in your town. A more laid-back offering from Mike Patton's lunatics. THEY'RE CLEVER buggers, those chaps in Mr Bungle. For while they specialise in the art of melting brains by composing some of the most twisted music imaginable, one gets the feeling that they're not even trying. The bastards. Having spent the last few years attending to other projects - Faith No More, Fantomas, Secret Chiefs 3, for starters - Mike Patton's mob are back with their third album, 'California', and it's as loopy and (surprisingly) laid-back as its namesake. Neither as heavy as their 1990 debut nor as psychotic as 1995's 'Disco Volante', 'California' comes off like the soundtrack to a Middle Eastern surf movie in which one-eyed, crack-smoking dwarfs massacre the Beach Boys. Jazz, metal, bebop, gospel, soul, country, pop and surf-rock combine to make one eye-twitching ride: witness the chop-change madness of 'Ars Moriendi' and 'TheAirConditioned Nightmare'. Only on the FNM-esque 'Retrovertigo' and 'Pink Cigarette' does some semblance of sanity enter the equation. While lacking in any massive distorted rifferama - 'Goodbye Sober Day' is the brilliant exception. 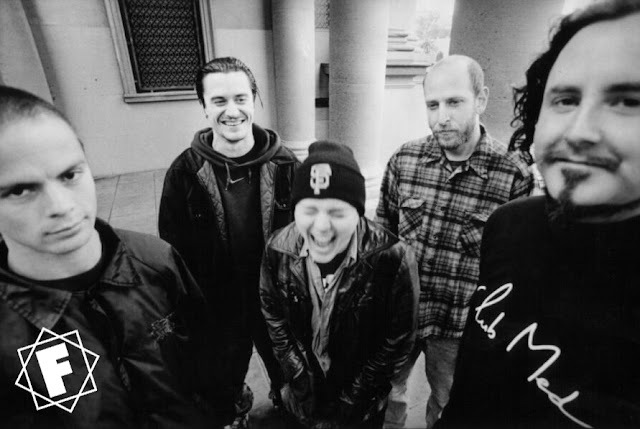 'California'is arguably Mr Bungle's most beguiling effort to date. Songfocused without sacrificing any of their trademark quirk, that line between genius and madness just got fainter. Bungle were an awesome and unique band, lets hope they reunite. More likely now cause SC3 will be touring with Dead Cross.